Now you can enjoy select Bayern beers in cans whenever the great outdoors come calling. We have selected two of the seasonal favorites perfect for every activity. 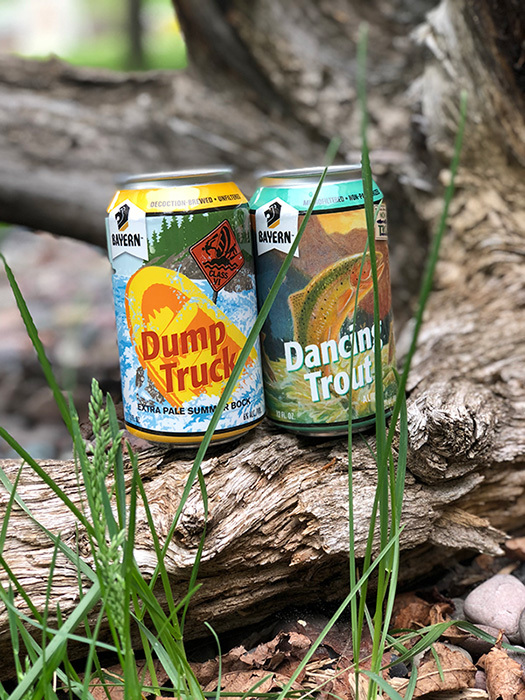 For the winter weather Face Plant and Groomer will warm you up and the summer months enjoy the refreshing Dump Truck and Dancing Trout. We still passionately believe in the sustainability of glass so when you’re back home Bayern encourages you to enjoy all of our Montana-made craft beers in bottles. Don’t forget to bring your empty qualifying bottles and Bayern 6-pack carriers back to the brewery to recycle.